"I am simply not prepared to accept that our kids should grow up media-illiterate," writes former SMH editor-in-chief and Crinkling News board member Peter Fray. Tragic as Fairfax’s job cuts are, I am even more saddened by the pending closure of one of the brightest sparks on the media landscape, Crinkling News, the nation’s only newspaper for school-age kids. Without an immediate injection of funds, Crinkling will publish for the last time next week. The two events are related, of course. Fairfax will continue to shed jobs -- and employee tears -- until it cracks a sustainable business model. You’d hope there’s more to it than float Domain and keep shrinking the rest. Being "Independent. Always." doesn’t seem to have strong commercial legs. Children's newspaper Crinkling News has folded, just months after it crowdfunded more than $200,000 to keep itself afloat. Crinkling News has raised enough money to stay printing, Miranda Devine bizarrely attacks a kids TV show. Plus other media tidbits of the day. What an emotional roller-coaster these past 48 hours must have been for Ray Hadley. 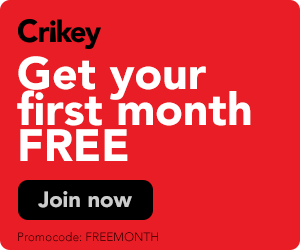 Crinkling News is Australia's first children's newspaper, and editor Saffron Howden told Crikey its re-subscription rate has been more than 60%. The three-month-old children's paper already has over half the subscriptions it needs to be sustainable.